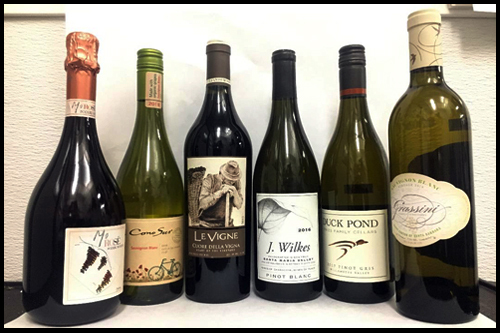 For this upcoming season, we’re featuring six wines to pair with your favorite spring foods! A pink, Centesimino based, wine, made with the Charmat method. More than a wine is a real wild card matching, very fragrant and popping in the mouth, with roses, pomegranate and wild strawberries in the foreground that cool and ends up in a dry finish. Combine this puffy rosé with a simple, delicious dish like Tataki tuna wrapped in eggplant and you’ll be a happy gourmand. Stewed pomegranates and red currants are lifted by vanilla and baking spice on the nose of this blend that’s named after the “heart of the vineyard.” Rounded cherry and mulberry flavors show on the palate, which gains complexity from the licorice and red-flower flavors. This is easy drinking and boasts smooth tannins. The stainless steel fermented fruity Pinot Blanc is all about the Santa Maria Valley terroir. Straw yellow in color, notes of apples, citrus and cantaloupe on the nose and pears and light minerality on the palate with a medium body and crisp finish. Enjoy with salads, sushi or Thai food or in warm weather by itself. This light-bodied and pleasing Oregon Pinot Gris features lovely notes of green and white melon. Produced by the Fries Family, this Oregonian wine hails from the region of the Dundee Hills. Lots of fresh orchard fruit aromas and flavours. Great aperitif. Finishes with tropical fruit and lime. Pair with fresh seafood.